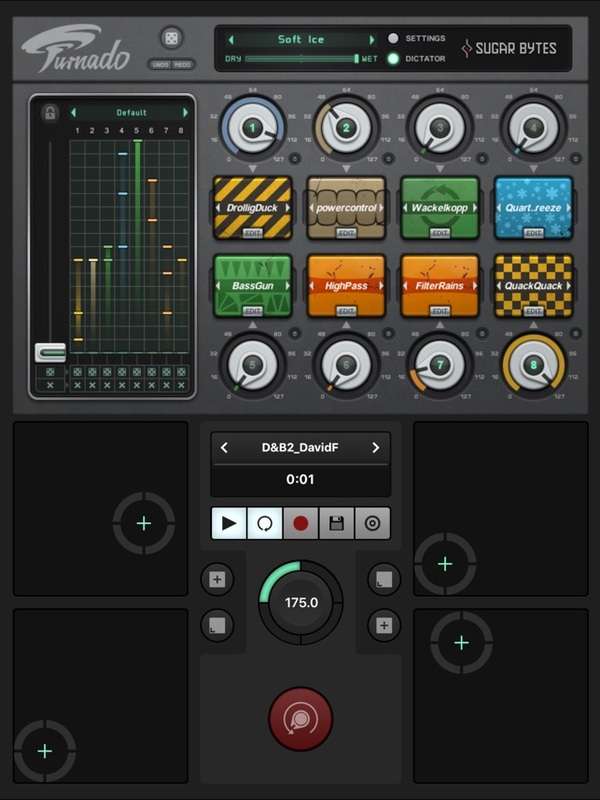 Turnado is a revolutionary multi-effect tool, crafted especially for massive real-time audio manipulation. It combines unique and dynamic effects with the most intuitive and immediate control you can imagine. Just turn it on and crank it up. Take it to the stage and unleash Turnado’s true power. With instant access to eight effects and immediate control over key parameters, Turnado is guaranteed to cause devastation on the dance floor, shredding beats and crunking breaks to insane proportions. Turn a knob and the effect is on. Turn the knob further to adjust effect parameters and apply modulations. Turn the knob down and the effect is off. 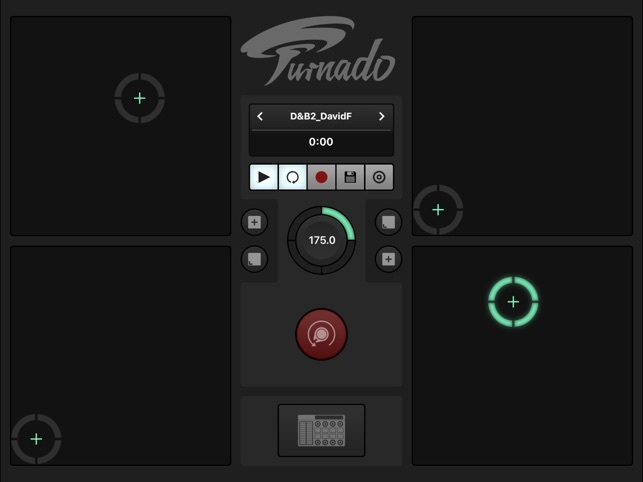 With its instantaneous, one-knob, multi-parameter modulation features, Turnado will lay waste to the audio landscape. 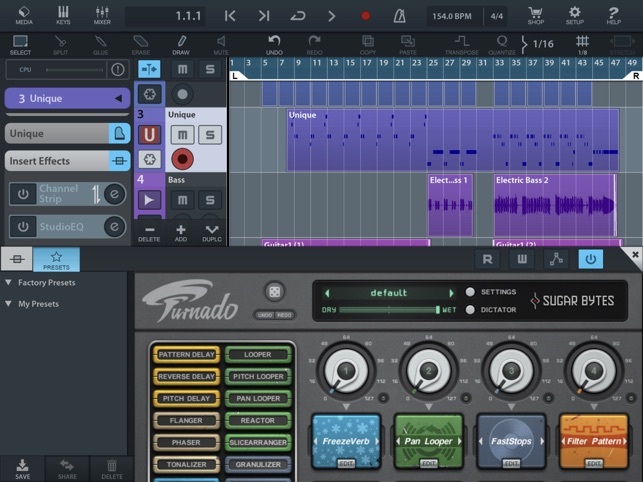 Giving you the power to crunch, chop, twist, mash and elevate your music to new levels, Turnado will have you creating wicked new sounds that will blow any crowd away. Unlocking the power of your MIDI controller each effect requires only one knob to control it. Underneath this simplicity lies a matrix of effect parameters and modulation engines, all controlled by the main knob. This control matrix provides serious depth to the plugin and gives you the ability to create original and truly unique effect programs. 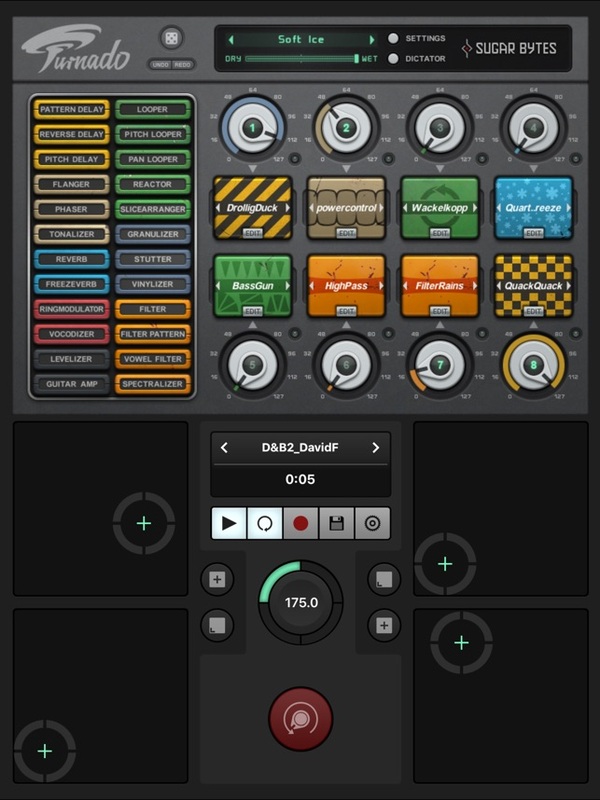 If the power of one-knob action still doesn’t rock your boat, the awesome "Dictator" mode will sink your battleship. 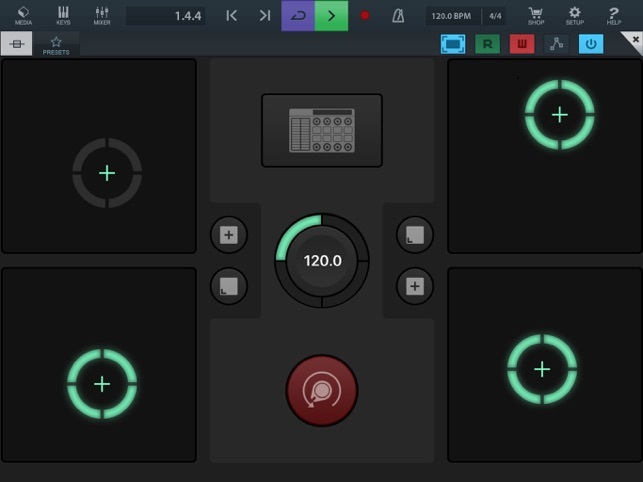 It allows you to animate all the main knobs and run that animation with just one fader. That’s one fader, controlling up to 8 different effects, with potentially hundreds of parameter changes! 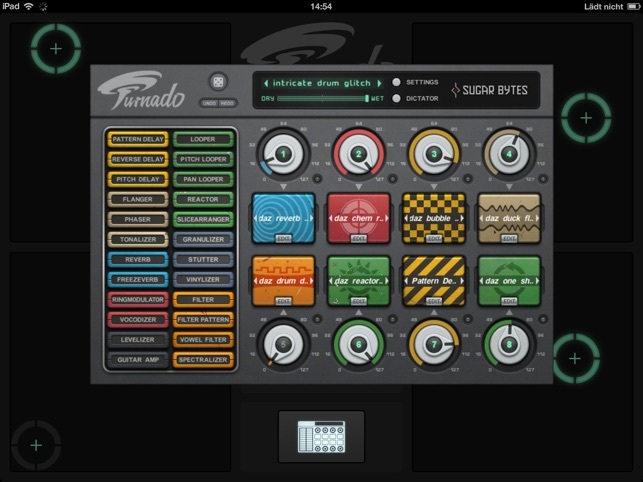 Turnado’s primary focus is on beat manipulation, so you will find lots of loopers, slicers and grain tools in the rack. 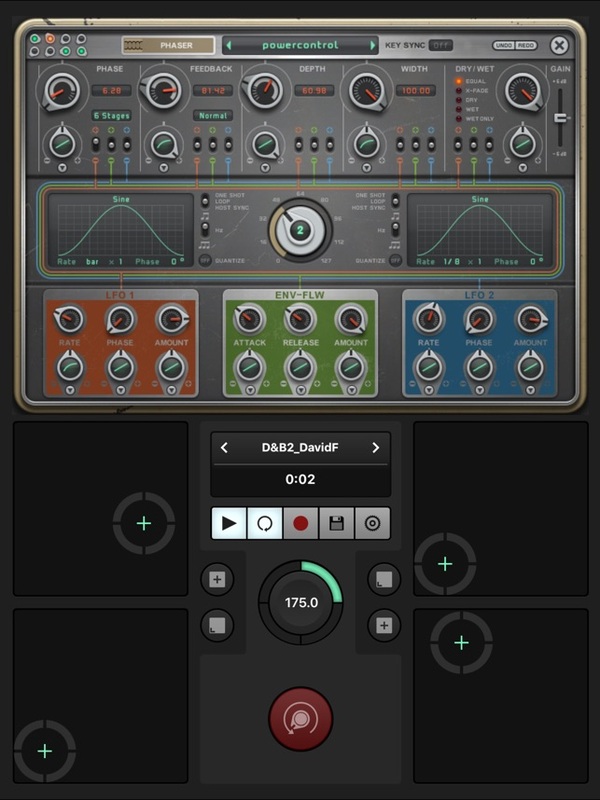 Alongside these beat-mashing effects are an arsenal of distortions and filters as well as first-class delays and reverbs. With extensive modulation possibilities each effect can produce millions of unbelievable variations that can be morphed and twisted into something new every time you tweak those knobs. 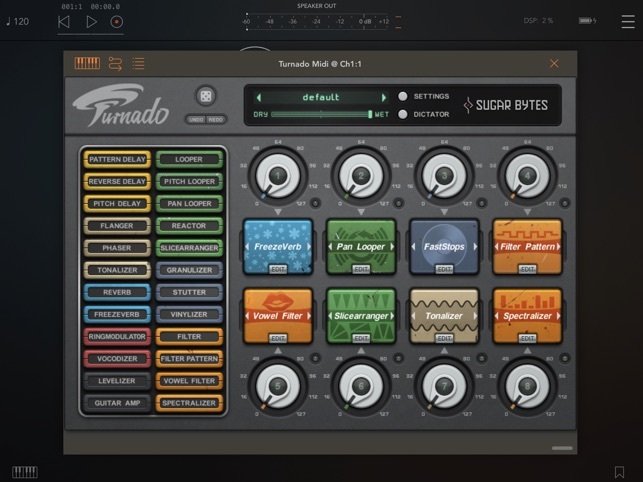 Turnado will inspire you again and again, delivering completely new variations of your original sounds and grooves every time, so what are you waiting for…turn it on. First off I love that this is AUv3 which makes work flow a breeze, also this plugin is easy to get lost in with all the features and parameters you can tweak. Plus it is merely a fraction of what you would pay for a desktop version. The creative possibilities for multiple genres not simply EDM etc...are exciting and inspiring with the XY features and 8 effects simultaneously. Very, very presumptuous of you to "decide" the future of iOS ! I have a whole lot of IAA apps that haven't, even lately been converted to an AU, let alone, ditch the standalone & IAA protocol. Some, add AU as an additional. You, obviously did the complete opposite. No wonder such low score feedback ... you're breaking people's work. That's WRONG ! We are artists, not simple consumers . . .
10 star app turns into AU but drops IAA support, removing all zen from my workflow. Now with 90% less fun. C’mon Sugar Bytes, give us a choice before you yank the rug out from beneath us. This was an excellent app before the update. It’s a lot less useful for performance now. Sure, as an AU you can dial it in - but it’s kludgy, and the AU window is too small, and you risk messing up your settings scrolling around the interface. And yes, I have two iPads, and can run two instances to make up for the pad controls I lost. But why the obnoxious workaround? You broke my favourite app. The impermanence of iOS makes me regret committing to it. If the app devs don’t mess with you, the next mandatory update surely will.